"You shall teach them diligently to your children..." Deuteronomy 6 makes it clear that the home is where Godly training begins. Godly training requires parents with good Biblical tools. Ephesians 4:11-16 describes the gift of Godly leaders in the church who "equip the saints for the work of the ministry, for building up the body of Christ." Godly training at home is supported by strong leadership and Biblical teaching. Christ told his disciples, "A disciple is not above his teacher...but when fully trained will be like his teacher." How our children are taught and who we allow to teach them matters greatly. Equipping your home is the first step. We have a few recommendations to get you started. Journey Through the Bible, is an excellent family worship resource. This book, written by Scott Brown, is the product of years of family worship time in his home. Journey Through the Bible covers the context of each book of the Bible along with family worship questions, important matters of each book, key memory verses and a basic outline--all at your fingertips! - Click here to visit read2018.com for more information. A good Bible translation is essential. We recommend the English Standard Version (ESV) because it is faithful to the original language and yet very easy to read. Also consider purchasing the ESV Study Bible for its excellent commentary, maps and illustrations. - Click here to visit crossway.org for more information. The Reformation Heritage Study Bible is another excellent study bible. This KJV study bible includes commentary based in Reformed Theology which maintains the authority of scripture, the sovereignty of God and salvation by grace. It also includes sections designed specifically for family worship. - Click here to visit kjvstudybible.org for more information. A quick easy way to begin family devotionals is to use Training Hearts, Teaching Minds - a daily devotional based on the Westminster Shorter Catechism. It can be found at many retailers including christianbook.com. - Click here to visit christianbook.com to search for this book. Voddie Baucham has written many books on family, fatherhood and the church. Family Driven Faith can be found at many retailers including christianbook.com. This documentary was produced by Franklin Springs Family Media and reveals the joy that can be found in daily family worship. This documentary may be found at multiple retailers including christiancinema.com. - Click here to visit christiancinema.com for more information. As you move forward with reforming your home, questions may come up about theology, science and other matters. Answers Books 1, 2, & 3 by Ken Ham. 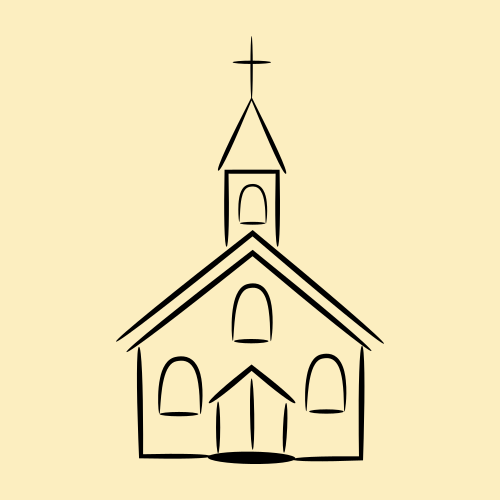 What to look for in a local church to reinforce what you're teaching at home. You may also find that participating in a family integrated church is helpful. Our friends at the National Center for Family Integrated Churches (NCFIC) can help! We also recommend a few resources that speak to the importance of the God fearing, biblically sound church. - Click here to visit crcchesapeake.org/the-playbook for more information. The choices we make when deciding how to educate our children will have long-lasting results. Instilling a biblical worldview in our children requires time, prayer and consistency. What they learn, where they learn and who teaches them should be a concern for every Christian parent. - Click here to visit Apologia.com for more information. - Click here to visit EducationReformation.org for more information. - Click here to visit IndoctrinationMovie.com for more information. FACE is an organization that focuses on teaching America’s Christian history. They also teach a method of education called The Principle Approach to produce Christian character, self-government, Christian scholarship and biblical reasoning. - Click here to visit FACE.net for more information. HEAV is a member supported, statewide, non-profit homeschool association. While HEAV serves homeschooling families of Virginia, consider looking in your state for homeschool associations that can provide local support. - Click here to visit HEAV.org for more information. HSLDA is a nonprofit advocacy organization established to defend and advance the constitutional right of parents to direct the upbringing and education of their children and to protect family freedoms. They offer legal assistance and guidance regarding the laws of your state. - Click here to visit HSLDA.org for more information. What about the financial changes I need to make in order to raise my children at home? This is a question we hear quite often and is worth considering. The typical American family is a two income household with children in school or daycare. It is also not unusual for the average American family to have large amounts of debt. In many cases, both incomes are needed to sustain this way of living. Scaling down and/or freeing up your finances may become necessary. David Ramsey's book Total Money Makeover and his course Financial Peace University are excellent ways to get started down the road of home education. - Click here to visit DaveRamsey.com for Financial Peace University. - Click here to visit DaveRamsey.com for his book, Total Money Makeover.